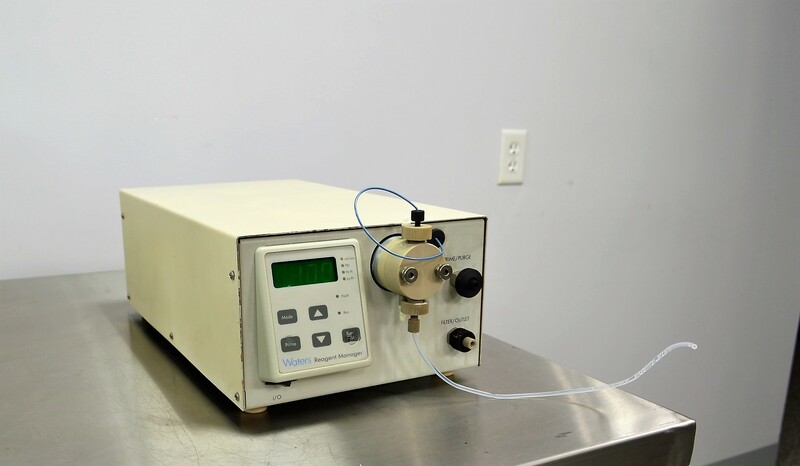 Waters Reagent Manager Digital RMA Liquid Chromatography Post-Column LC . New Life Scientific, Inc. This is a used Waters RMA post-column reagent manager that has some cosmetic wear and it will be sold for parts. The technicians were unable to test this product, noting there is heavy puncture damage to the 'run/stop' button. The RMA was powered on and the digital screen flashes two numbers, but they appear to be an error as the result of the broken button. For specifications and information on this model visit here.